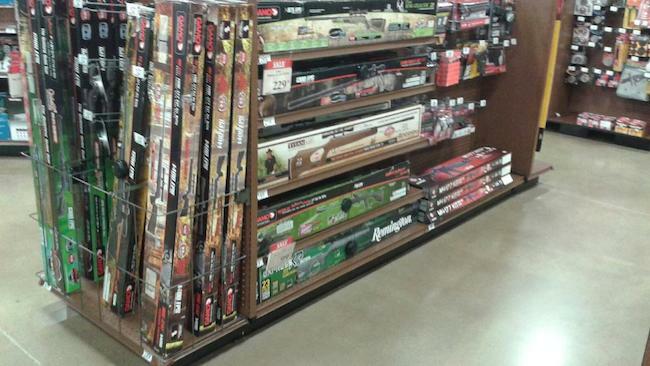 WALMART SELLS "BB GUN" AND "PELLET GUN" RIFLES TO CUSTOMERS IN THE STATE OF MINNESOTA AS A NON-FIREARM. THIS IS ILLEGAL AND PLACING CITIZENS AND TOURISTS IN PRISON FOR 5 TO 15 YEARS! Walmart is a licensed dealer of firearms, as defined within federal law, title 18 U.S.C. Section 921(a)(ll)(A), engaged in the business of selling firearms at wholesale or retail, as a regular course of business with the objective of profit through the resale of firearms to the public. Anyone shopping at Walmart - age 5 to 100 - in Minnesota may walk to the sporting good department and review and handle the different types of "BB GUN" and "PELLET GUN" RIFLES for sale on the shelves, without the assistance of Walmart employees. 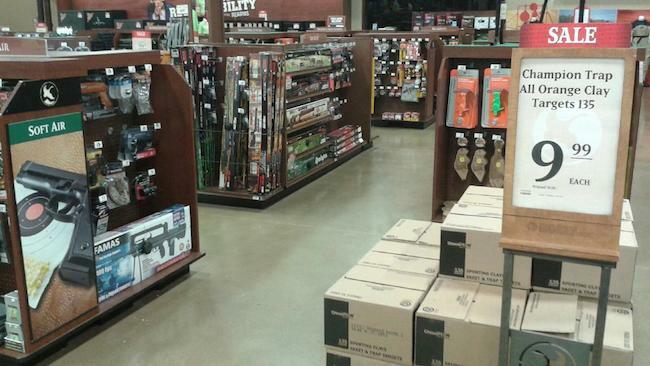 Remember, "BB GUN" and "PELLET GUN" RIFLES are not behind the counter with the shotgun, hunting rifles and pistols?? Why is Walmart illegally selling "BB GUN" and "PELLET GUN" RIFLES as weapons and not a "FIREARM", as required under the State of Minnesota law? Customers at Walmart believe "NO STANDARD OF CONDUCT IS SPECIFIED AT ALL", when "BB GUN" and "PELLET GUN" RIFLES are sold openly on the shelves of the sporting good department and the shotguns, hunting rifles and pistols, known by a person of ordinary intelligence as "FIREARMS", are sold behind a counter, requiring the assistance of a trained Walmart employee to handle, inspect, and purchase the "FIREARM". WALMART IS BREAKING THE LAW!!! Walmart is CONSPIRING to place citizens of Minnesota and tourists visiting Minnesota in prison for violating Minnesota Statute 624.713, CERTAIN PERSONS NOT TO POSSESS FIREARMS. "FAIR NOTICE": Customers shopping Walmart stores in Minnesota are given "NO WARNING WHATEVER" that the purchase of "BB GUN" and "PELLET GUN" RIFLES are "FIREARMS", under Minnesota criminal law. Therefore, exposing the customer to a possible 15 year sentence, if the customer has past juvenile or adult convictions, including misdemeanor or gross misdemeanor violations. MINNESOTA ENCOURAGES ARBITRARY AND DISCRIMINATORY ENFORCEMENT OF FEDERAL FIREARMS LAWS TOWARD THE CITIZENS OF MINNESOTA AND TOURISTS VISITING MINNESOTA!! "PISTOL" does not include a device firing or ejecting a shot measuring .18 OF AN INCH, OR LESS, IN DIAMETER COMMONLY KNOWN AS A "BB GUN," a scuba gun, a stud gun or nail gun used in the construction industry or children's pop guns or toys." The above definition DOES NOT INCLUDE "RIFLES"? WHY ONLY PISTOLS? VICTIMS OF MINNESOTA FIREARM LAWS FOR POSSESSION OF A "BB GUN" AND/OR "PELLET GUN" RIFLE. On October 22, 2013, Richfield, Minnesota police and fire department responded to a call of a house fire. Upon arrival, police and fire officials entered the house to make sure no one was inside and locate the source of the smoke. When the house had been cleared of occupants, the officers exited the house through the kitchen when they saw a .177 CALIBER "PELLET GUN" RIFLE on top of the refrigerator in plain sight. The officers confirmed BIGBEE was a resident of the house and was a person prohibited from possessing a firearm based on a previous felony conviction. BIGBEE was arrested on a COMPLAINT (Indictment) for the offense of a "PROHIBITED PERSON IN POSSESSION OF A FIREARM (FELONY)", Minnesota Statute §624.713, Subdivision 1(2), 2(b); §609.11, PENALTY: 5 - 15 YEARS AND/OR $30,000.00 FINE. Review the October 23, 2013 "COMPLAINT" (Indictment), State of Minnesota vs. ANDREW JEROME BIGBEE. Also the June 23, 2014, legal overview of the complaint by John Gregory Lambros, JailHouse Lawyer, U.S. Penitentiary Leavenworth, as to the legal question: "Whether a .177 caliber RIFLE "PELLET GUN" is a "FIREARM" within the definition of Minnesota Criminal Law?" This document is in PDF format and contains copy of the Minnesota Criminal Statutes and Federal Statutes needed to support the "COMPLAINT" and Lambros' overview of same. DOWNLOAD JUNE 23, 2014 "MEMORANDUM" FROM LAMBROS TO BIGBEE, HERE IN PDF. December 18, 2014: Andrew Jerome Bigbee was found NOT GUILTY BY A JURY for the offense of a "PROHIBITED PERSON IN POSSESSION OF A FIREARM (FELONY)" in STATE OF MINNESOTA vs. BIGBEE, Case No. 27-CR-13-35086. DOWNLOAD DECEMBER 23, 2014 "DOCKET SHEET" IN THIS ABOVE-ENTITLED ACTION OFFERING OVERVIEW OF EVENTS IN CASE, FIRST THREE PAGES, HERE IN PDF. Court records state Mr. Newman was arrested and convicted of a felony drive-by shooting statute after admitting he shot his "BB GUN" at a car on the highway. Newman admitted he engaged in the shooting with a CROSSMAN 760 PUMP MASTER, .177 CALIBER "PELLET BB GUN" RIFLE. Newman challenged his conviction to the Minnesota Court of Appeals on October 3, 1995, and was denied on November 30, 1995. Newman challenged his conviction of a felony drive-by shooting, arguing that the "BB GUN" he shot at another vehicle is NOT A FIREARM WITHIN THE MEANING OF MINNESOTA STATUTE §609.66, Subdivision 1e(a)(Supp. 1993). The Minnesota Court of Appeals relied on the GAME AND FISH LAWS of Minnesota definition of "FIREARM", as "any gun from which shot or a projectile is discharged by means of an explosive, gas, or compressed air." See, Minnesota Statute §97.40, Subdivision 34 [now Minn. Star. §97A.015, Subd. 19], to convict Newman.